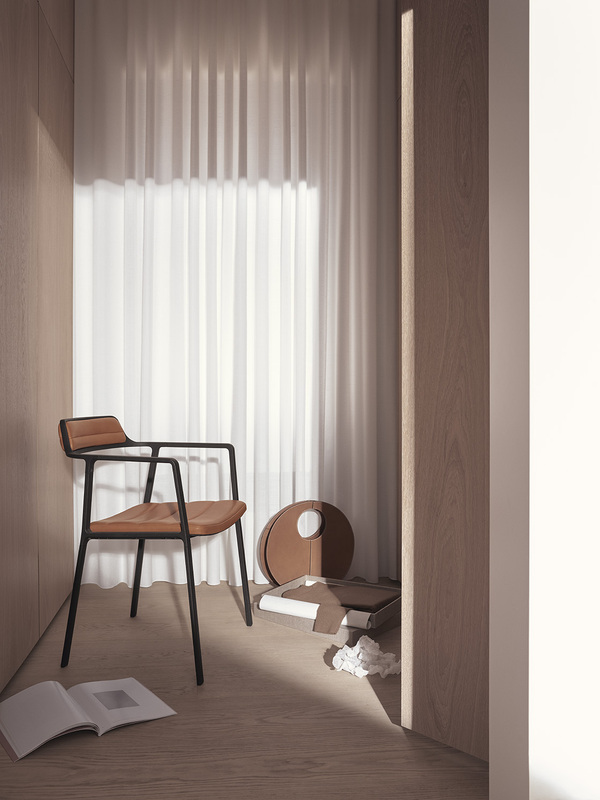 Danish Design brand Vipp just recently release the Vipp chair, available in both a leather and upholstered version. The new chair design features a powder-coated aluminium frame – so typical for the design language of the brand – with rounded armrests and a small backrest. 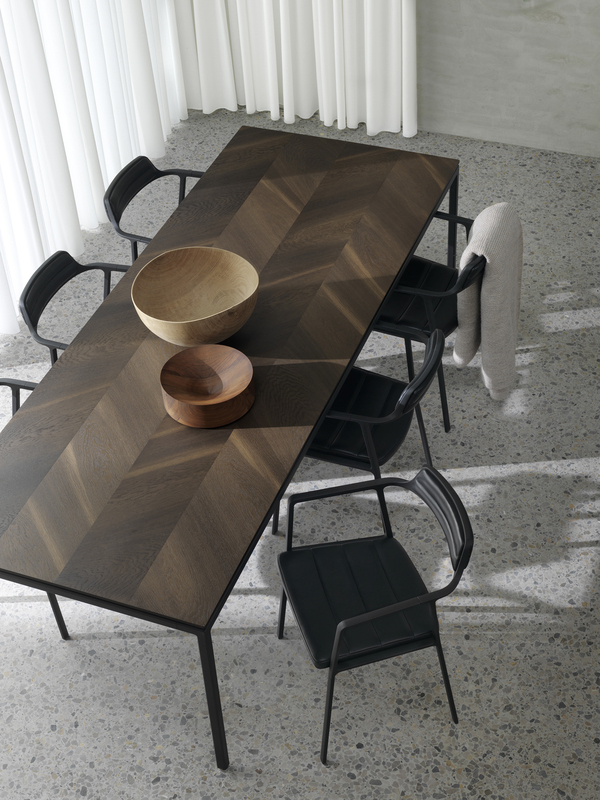 With the release of the chair, they also introduced a version of the Vipp table with smoked oak woodwork. 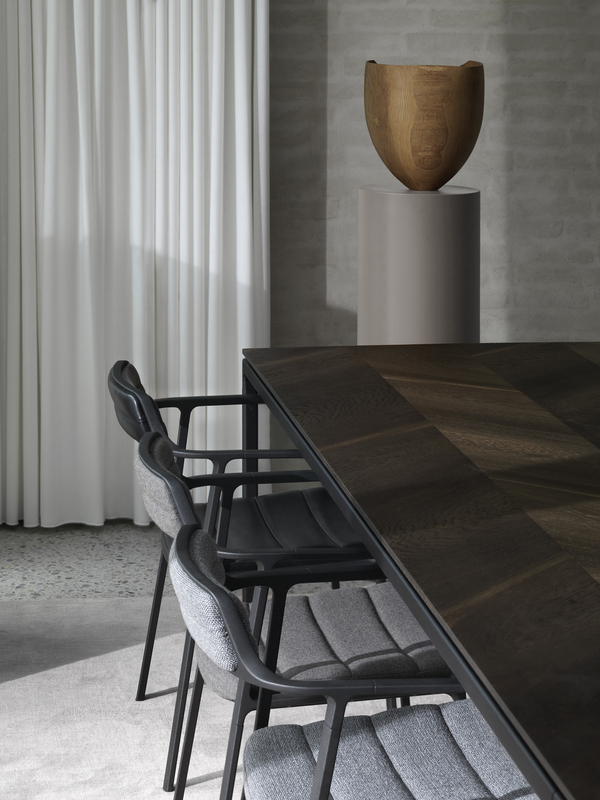 I think the detailing of the tabletop is so stunning and contrasts perfectly with the powder coated steel of the frame.